With more than 20 courses, Hainan Island is a very popular destination for golfers from all over the world. Winter is golden time for golfer lovers when Mainland China is freezing cold and dry. 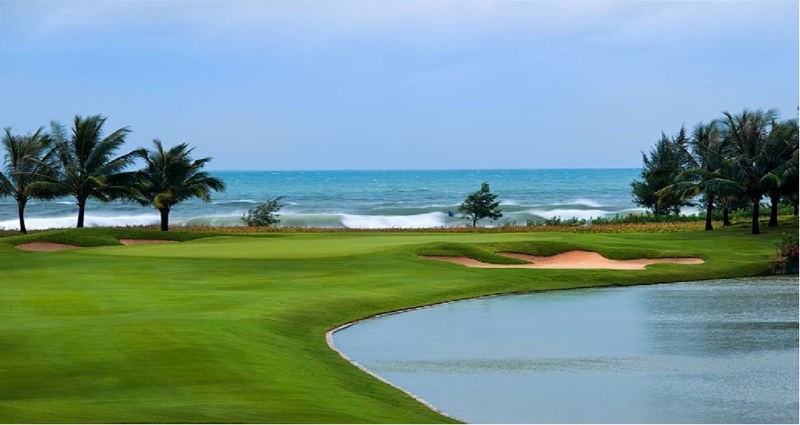 There are 3 major destinations for golfing on Hainan Island. Sanya and its surrounding in the southern part of Hainan Island is good for golfing all year around, and perfect during winter time (November-March), while Haikou and its surrounding area including the east coast could be wet and chilly in winter time (December-February). The new places to play is Dunes Shenzhou Peninsula and The BFA in Boao. We have done a good research on all golf clubs and would like to recommend the following for golfers from all over the world. Based on Hainan Island, we have checked all Sanya & Haikou Hainan Island Golf Clubs. For a better golfing experience, the best is to book our Hainan Golfing Packages with rivate transfers, hotels, and some local tours. Instead of searching and planning yourself by internet information on where to play and which hotel to stay, why don’t you just drop a short email (caddie@sunnysanya.com) to a local expert who has lived on Hainan Island over 20 years with personal experiences and local knowledge?